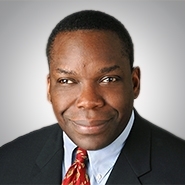 CHICAGO, Ill. — The national law firm of Quarles & Brady LLP today announced that Chicago partner, Everett S. Ward, has been appointed by Illinois Governor Bruce Rauner to serve as a public member of the Real Estate Administration and Disciplinary Board (the “READ Board”). "I'm extremely honored to have been appointed by Governor Rauner and to have the opportunity to represent consumer interests," said Ward. "I'm looking forward to working with the board in any capacity that I can." The READ Board consists of three public members who represent consumer interests, six real estate brokers or managing brokers, and an Illinois Department of Financial & Professional Regulation (DFPR) real estate coordinator. Prior to appointment, all board members must have held residency in Illinois for six years. "We are so proud of Everett," said Chicago Office Managing Partner Paul L. Langer. "He is a great fit for the READ Board and we are grateful that he is representing Quarles & Brady." Ward is a member of the firm's Real Estate Practice Group, where he represents corporate, commercial, and not-for-profit clients in the acquisition, disposition, financing, and leasing of commercial, industrial, and residential real property. He is AV® Peer Review Rated by Martindale-Hubbell, has been named an Illinois Super Lawyer®, and was named a 2015 Business Leader of Color by Chicago United. He received his bachelor's degree from Princeton University and his law degree from Harvard Law School.